Thanks, Mail Carrier | Phineas and Ferb: Across the 2nd Dimension, Perry the Platy-bus, New Products & More! Phineas and Ferb: Across the 2nd Dimension, Perry the Platy-bus, New Products & More! Typically when my daughters are having a chance to watch television, I'm doing something else entirely. Whether that means making dinner, talking on the phone or just enjoying five minutes to myself, it gives us all the chance to have a short time to regroup. However, another reason that I don't want to sit and watch their show is because... well, it's a kids' show. Being that I already know my colors or how to count to 10 or the letters of the alphabet, I appreciate that the show is teaching these skills to my children, but they don't manage to hold my attention. And then there's Phineas and Ferb. Disney's Emmy Award-winning hit series, Phineas and Ferb has been television's #1 animated show among tweens for the past three years... and I'd say that it ranks pretty high on our list as well. 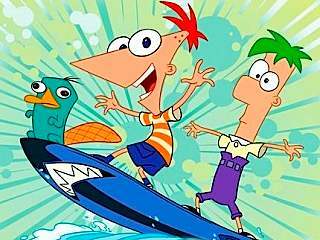 Following stepbrothers Phineas Flynn and Ferb Fletcher as they happily set out to conquer boredom and make every day of their 104-day summer vacation count, Phineas and Ferb brings viewers on adventures that are a little out of the ordinary. Throughout the escapades, they're accompanied by Perry the Platypus, their seemingly mindless family pet who, unbeknownst to all, has a double life as a suave secret Agent P, deftly battling the evil Dr. Doofenshmirtz to save the world. Meanwhile, the boys' older sister Candace is aghast at her brothers' bold antics and makes it her life's work to tattle on them to Mom and Dad, though somehow she can never seem to catch the boys red-handed. You really never know what's going to happen next on this hilarious show! So what is this entertaining cast of characters up to now? All sorts of fun things! Just this week, Disney launched "Perry the Platy-bus On Tour," a 27-foot long, customized, rounded aluminum Airstream trailer outfitted stem-to-stem as Phineas' and Ferb's teal-colored pet. 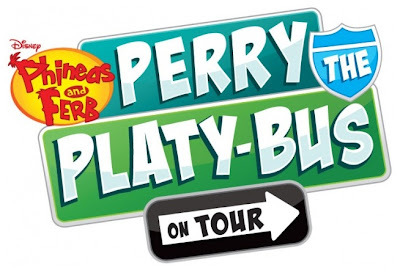 The Perry the Platy-bus is heading off on a coast-to-coast journey from New York City to Los Angeles to bring the fun to fans across the country! Kids and adults of all ages are invited to marvel at nearly 4,000 pounds of Perry (complete with a bill, tail and googly eyes), come aboard, play new video games, sing Perry-oke and more - free of charge! In answer to the common question on the show, "Where's Perry?" the route for the Perry the Platy-bus tour will be announced soon. 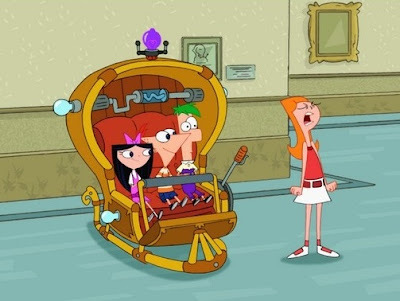 Along with Perry the Platy-bus, there is a long list of other great Phineas and Ferb activities and products available in the upcoming months to keep the excitement going well after the bus has passed through your hometown. From a Phineas and Ferb soundtrack (available August 2) to a video game to books to an interactive live entertainment experience at Disney's California Adventure and Walt Disney World's Hollywood Studios to action figures, apparel, accessories, grocery products and much more, this is the summer of Phineas and Ferb! 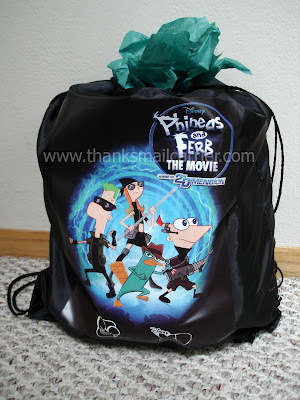 And, from the moment I held up a Phineas and Ferb sling bag and Big Sister E and Little Sister B caught sight of the logo on the side, they were beyond thrilled to see many of these great items for themselves! Both girls were amazed at the number of fun things that came out of this bag and immediately started claiming them as their own. When I finally was able to round most of them back up (the Phineas and Ferb mouse pad is still in hiding in Big Sister E's room), I have to admit that I was happy about them also! Even though we had just had macaroni and cheese for lunch the day before, Big Sister E insisted that we have the Phineas and Ferb macaroni and cheese immediately... and then giggled through eating all of the character-shaped noodles. All that is left for us now? To rock out to our Phineas and Ferb soundtrack while waiting for the premiere of the Disney Channel Original Movie, Phineas and Ferb: Across the 2nd Dimension! 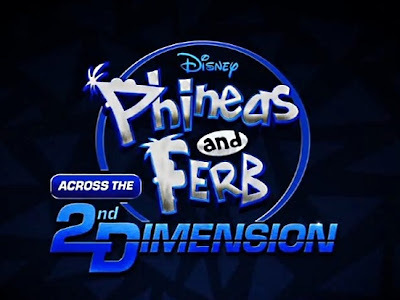 Set to debut Friday, August 5th at 8 pm EST on the Disney Channel and on Saturday, August 13th at 10 am EST on Disney XD, Phineas and Ferb: Across the 2nd Dimension will take the brothers on their biggest journey yet... into another dimension. 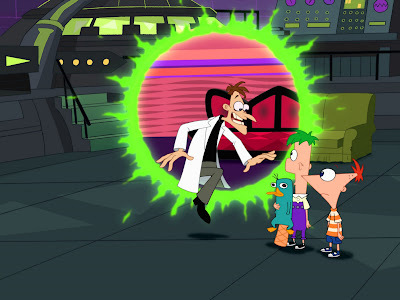 When Perry the Platypus must reveal that he battles the forces of evil daily as Agent P in order to save Phineas and Ferb, they join him on a grand adventure that blasts them to another dimension where Dr. Doofenshmirtz has taken over an alternate Tri-state Area. When they uncover his ploy to travel back to their dimension to take over their Tri-state Area, the boys meet themselves in the 2nd dimension and must band together to stop him. 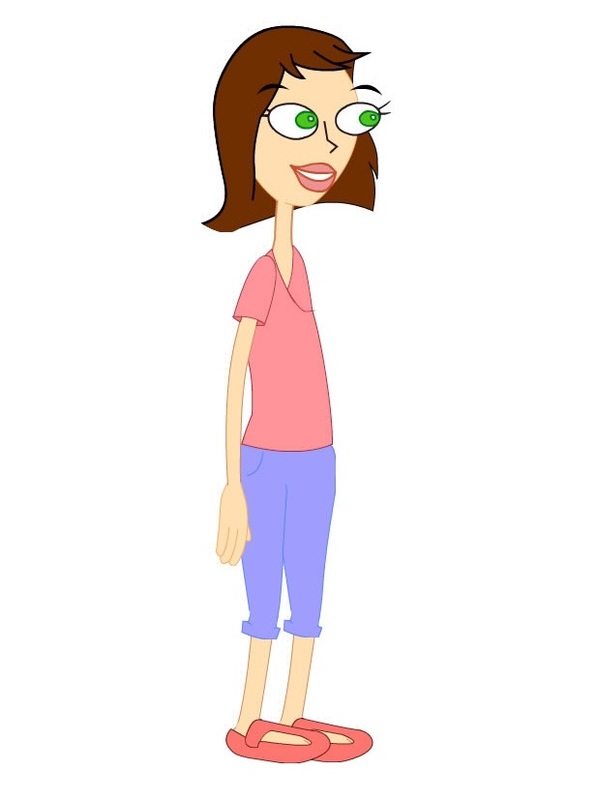 Featuring an all-star cast of voices including Vincent Martella (Role Models, Deuce Bigalow: European Gigilo) as Phineas, Thomas Brodie-Sangster (Love Actually, Nanny McPhee) as Ferb, Ashley Tisdale (Sharpay’s Fabulous Adventure, High School Musicals) as Candace, and many more, this movie is sure to be a hit with the whole family. Whether or not you currently have Phineas and Ferb fans in your household, you're not going to want to miss all of the great ways to keep up with this show this summer. I have no doubt that my kids will be tuning in on August 5th to see Phineas and Ferb: Across the 2nd Dimension while cheering on some of their favorite friends.